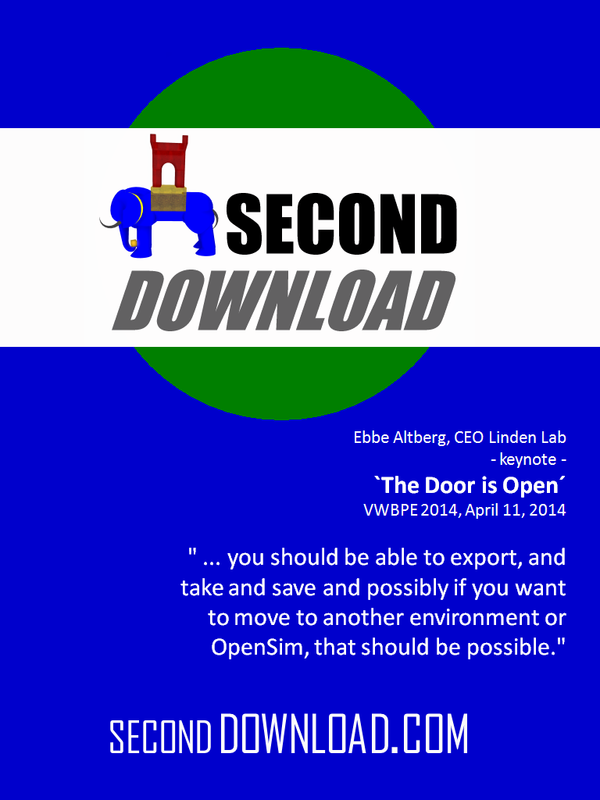 SECOND DOWNLOAD may remind some of you on SECOND LIFE. Why is this so? A SECOND chance, a SECOND play, a SECOND [whatever] implies a RESTART under advanced conditions. So I started to RECODE digital art made in the 60th and 70th by my former art professor Herbert W. Franke. In the meantime I am not the only one doing this. The RECODEPROJECT is a very good example for a wake up call in softwareart [softwarekunst]. I am in this area for long as I setup a system for "random driven parameterart" in FORTRAN in the late 70th at the University of Munich at the Department of Art Education (Prof. Hans Daucher). Now SECOND DOWNLOAD just moves the ideas into 3D: I created a time capsule for the very first user created art in 3D based on sculpts and prims [2003-2013]. 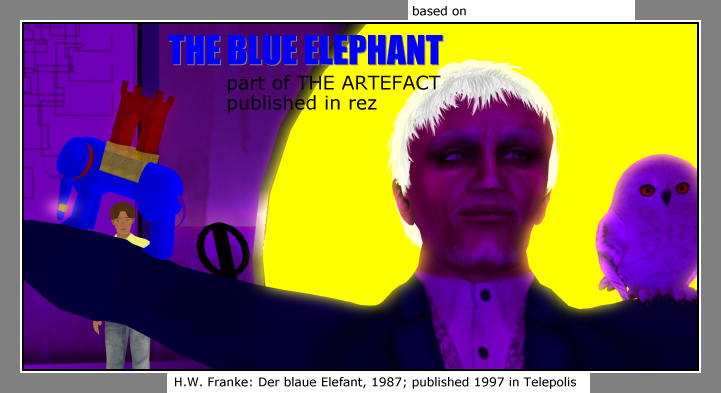 Over 65 artists took part, some are from SECOND LIFE, some from compatible grids, like Francogrid, InworldZ, Metropolis. And with about 1000 private worlds all building up the Hypergrid.Network. With MOSES an institutional player steped in motivating many departments in informatics and science, especially in USA, to take part in building up robust services. I am one of the creators and promotors of technologies for 3D worlds based on opensimulator. All developments in my lab are set on MIT / open license. In 2008 I met Jean Linden in Karlsruhe, who was in charge for Linden Lab Educational and University grids in Europe. She supported my ideas in a very early stage. I am happy that the time capsule exisits and gets now published in a book. A few hundred pepole have already visited the worlds I call VULCANICUS [within the RIFT HORIZON regions] with an avatar suited for hypergrid teleports or directly in Metropolis grid where a copy of the time capsule is setup. In 2015 the first Virtual Biennial will happen and VULCANICUS will be part of a retrospective and again in 2025 and 2035.